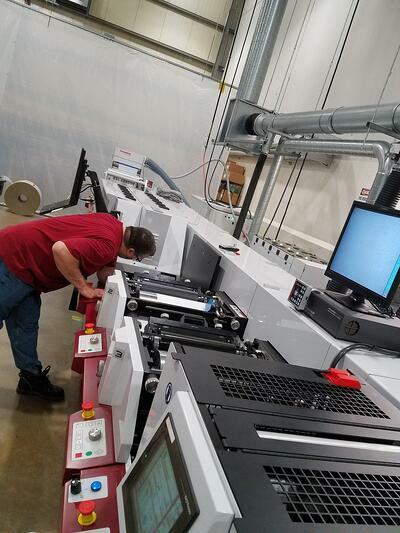 ITW Labels, a labeling and branding solutions expert based out of St. Charles, Missouri, USA, with four production facilities across North America, has invested in a Mark Andy Digital Series hybrid press to support its labels and packaging production. The company plans to capitalize on the productivity benefits of inline hybrid print workflows to optimize production of a full range of labels including prime custom, variable data, durable, and more. With legacy experience in both UV inkjet digital and flexo printing, ITW Labels is well versed in the value each technology offers to support variable run sizes, decoration options, and color management. The company, though, needed increased productivity to support augmented current demand and strategic growth plans. During the search for new equipment, the Mark Andy Digital Series hybrid printing solution became a candidate for consideration. Operators of the Mark Andy Digital Series press are able to manage all aspects of the press from a single, integrated control center. Press operator at ITW Labels manages production on the Mark Andy Digital Series press. 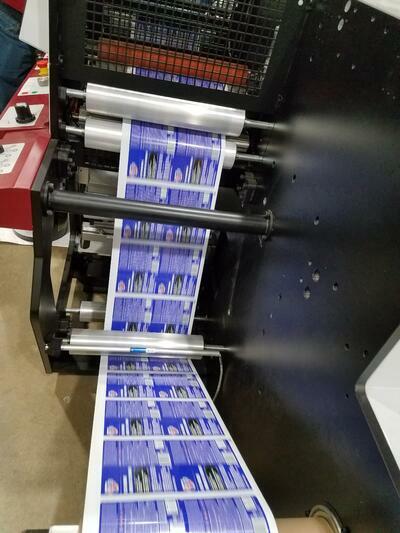 Product coming off the Mark Andy Digital Series hybrid press at ITW Labels. Currently the 13 inch (330mm) Mark Andy Digital Series, which runs quality product consistently at speeds of 240 ft/min, is equipped with three flexo stations. 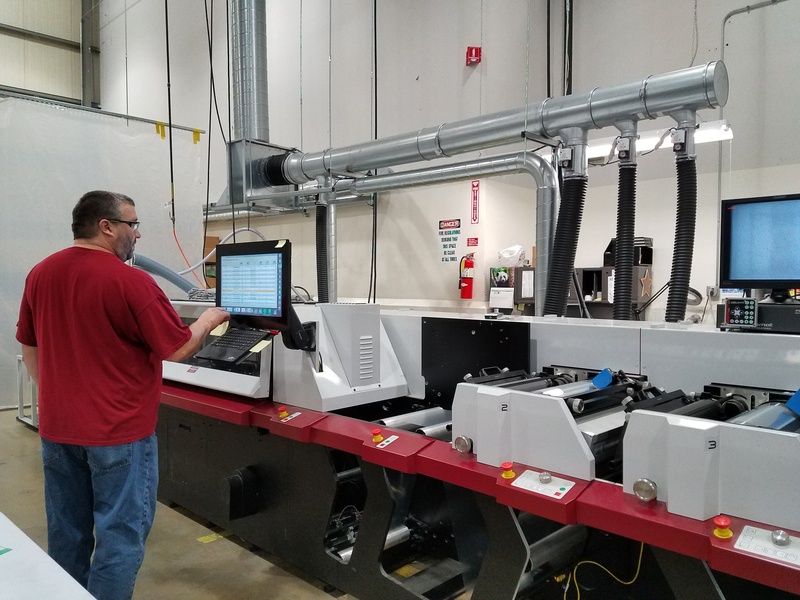 ITW has experienced some of the promised productivity from the hybrid solution since installation in first quarter 2017, and is already entertaining the option of adding inline converting to the press. Historically making use of offline finishing solutions for their digitally printed material, ITW is experiencing higher-speed production off the digital/flexo hybrid solution, and as a result will be evaluating the added value of inline die cutting. The modularity of the Digital Series solution provides that flexibility to upgrade the platform as needs change.